What does a medical translator and interpreter have to learn from medical writers? Especially if you write in Spanish, and the conference is for people who write in English. I went to the AMWA conference curious, and came back changed, having learned so much that I am going back for sure. Oh, and it was so much fun! 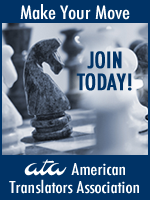 As a medical translator and interpreter, I am a member of organizations where people who write medical documents participate. 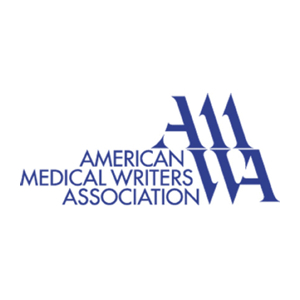 The American Medical Writers Association is one of them. Attending conferences and talking with people who write the documents I translate helps me understand context, and it helps me prepare my translations so they will undergo minimal changes when the medical editors receive them. Why am I interested in medical interpreting and translation? I just can’t help it. My grandfather founded the first union hospital in Argentina and left some of his tools behind in the attic. When I was a child, I played with them and wanted to be a doctor like him, so I could also help others. Right after graduating from high school, I spent two years in medical school at the University of Buenos Aires. I then moved on to a different field, but never lost my passion for medical and scientific topics. I told that story a few times at this conference, and many people loved it! So after the ATA conference in New Orleans, I just had to go right over to DC, stay with a friend and go to the AMWA conference to hang out with medical geeks. It was irresistible. Interestingly, the conference actually started two months before the event itself. They sent me homework! I was registered for one of the three-hour workshops, and all the speakers assigned tasks in advance. It was due three weeks ahead of the conference. At the session, they handed out the corrected homework and discussed the assignments. The material was demanding and interesting, and the advance preparation helped us all engage with the session in depth. About a month ahead of time the conference organizers were sending emails out to see what regional group we would go out to dinner with. They also had “dine-arounds,” an opportunity to try out different culinary options by checking the list of restaurants and leaders and signing up for where you wanted to dine. For the regional groups, the leaders had the list of those who had registered, and didn’t leave until all were accounted for. They stood in the hotel foyer, held up their sign, and waited to take off. If you didn’t have a group, you just tagged along with someone else, or someone might grab you and say “Hey, come along with us.” For the dine-arounds, there were signup sheets at the registration early in the morning, and the same deal happened in the evening. Knowing they were waiting for you, it was a good idea to check in with the leader if you changed your mind! I loved these dinners. The attendees were experts in the subjects they were writing about. They were not just writers. They didn’t just organize other people’s notes and research. They knew the subject and knew what questions to ask to make the document shine. Why? Because so many of them had terminal degrees in the field they were writing about. At times, members of the audience answered questions from other members of the audience because the speakers knew that was appropriate. I loved the collegial environment! The conversations continued in the hallways, where the exhibitors were. I made some good friends and expect to see them again. All comments were welcome. It was totally OK to stand up and say, “This sounds great! If people actually wrote this way, we translators would have fewer questions for you and your translations would be done more quickly! Could you please pass the word along?” They thanked me, because they had not realized plain language would have that cause-and-effect. The sessions honed in on some issues I had been thinking about for a while. Clear writing (many call it plain language) and connecting with your audience were threads that made their way into every presentation. Whether discussing how to prepare a proposal for regulators to approve it or how to write a grant, the key points were the same. Assume that they will be evaluating things that are not on the checklist; they will! There was a session on empathy—in our writing! Yes, we can be empathetic in our writing by not talking down to people and not trying to erase entire classes of people, but meeting our readers where they are, putting ourselves in their shoes and telling our readers how they would benefit from what we present to them. This, of course, implies knowing our audience. Those of us who do both interpreting and translation have a natural connection with our audience. Readers, how can we all develop this connection so our translations reach our audience better? Going to conferences from the allied professions opens my mind to new ideas. In this case, medical writers and translators have a lot in common: we both write texts for our audiences. Knowing what they consider when they address their audience helps me as I try to maintain the register, keep the voice, reach the audience, and transfer the message to my target audience. Sometimes documents are written directly in Spanish, where the client asks: “Could you please write something about ___________? Here are the basic topics we need you to cover, and here are the specs.” As a translator, I could easily be given that type of assignment. These conferences also prepare me to shine in that environment. Finally, I often work with communications specialists. Having the experience of being at what is essentially a communications conference gives me the ability to understand their concerns and be able to speak to their needs in a language they understand more clearly. I will continue to include conferences for writers and copy editors in my mix for a long time! They are fun and incredibly helpful for me as a professional.